Board rules and latest news. Place to submit Harry Potter fanfiction for review and consideration. Stories that meet board standards will be archived in the Library. For Review for all non-HP fanfiction. Discussion of all things Harry Potter. Range includes the books, movies and right through to Pottermore and Cursed Child. Movies, TV, books, music as well as academic and graphic design discussion. The place to discuss current events around the World. Heavily moderated, post at your own risk. Stories that are set in alternate universes; includes dimension travel, alternate parentage and crossovers. Latest: Harry Potter and the Accidental Horcrux by the Imaginizer - T Mar 26, 2019, why? Lynch your friends and lie to the rest. Place for forum-based Werewolf-type games. Latest: Location data. Apr 8, 2019, KHAAAAAAAN!! 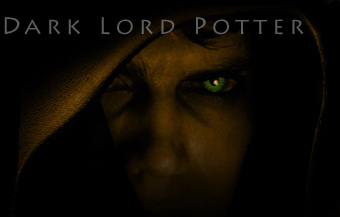 This chat is relayed from the irc://irc.darklordpotter.net:6697/darklordpotter IRC chat. Click the link to open in your IRC client or use our Web IRC chat to join (help! ).